4/18/19 Judge Winthrop named as recipient of the Walter E. Craig Distinguished Services Award. Details can be found here. The Case Management Statement form has been revised. The revised version can be found here. 4/4/19 The Court of Appeals, Division One is now accepting applications for a Deputy Clerk position. Details can be found here. The Court of Appeals Division One is now accepting applications for a Human Resources Generalist/Coordinator position. Details can be found here. 2/28/19 Division One has published its Annual Report - 2018 The Year in Review. Click here to view. 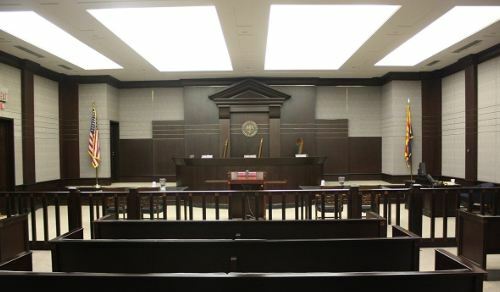 2/20/19 There is Judicial Law Clerk position available in Judge Cruz's chambers, click here for more information. 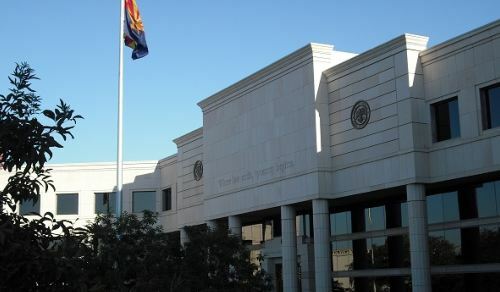 Arizona Court of Appeals, Division One is accepting clerkship applications for the 2020 - 2021 term, click here for more information. 12/04/18 A.O. 2018-08 filed in the matter of Closure of the U.S. Postal Service and Due Dates. 5/17/18 Court Leadership – Division One judges have re-elected Samuel A. Thumma to serve as Chief Judge, and Peter B. Swann to serve as Vice Chief Judge. They will continue their service in their respective roles through June 30, 2019. 1/11/18 Governor Ducey has announced the appointment of David D. Weinzweig to the Court of Appeals, Division One. The news release can be found here. 12/6/17 New Administrative Orders related to Juvenile Appeals have been issued and are effective 1/1/18. Please review A.O. 2017-04 and A.O. 2017-05 for more information. 10/16/17 The Court of Appeals, Division One, now allows credit and debit card payments to be made utilizing a web-based application accessed through computers in the Clerk’s Office. A 3% payment processing fee will be assessed when this option is used. This may help self-represented litigants that file cases in paper at the counter, individuals paying for copies, and those who have court approved payment plans. Questions regarding this option can be addressed by calling the Clerk’s Office at 602.452.6700 or emailing inform@appeals.az.gov. 9/29/17 Governor Doug Ducey has appointed Judge Jennifer M. Perkins and Judge James B. Morse to the Court of Appeals, Division One. Click here for more information. 5/23/17 Division One has published its Annual Report—2016 The Year in Review. Click here to view. 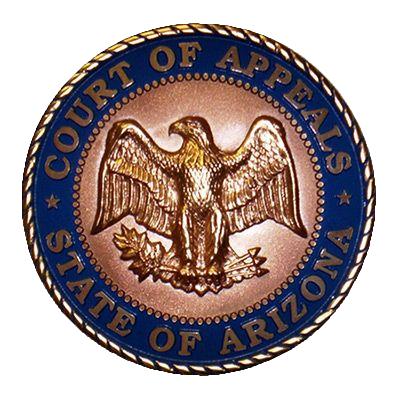 04/11/17 Governor Doug Ducey has appointed Judge Maria Elena Cruz (Yuma County) and Judge Jennifer B. Campbell (Yavapai County) to the Court of Appeals, Division One. Click here for more information. The FY2016 CourTools Report has been posted. Click here to review. 12/5/16 Please Note: Beginning December 5, 2016 the Court of Appeals Division One has new phone numbers. The number for the Clerk's Office is now (602)452-6700. 11/01/16 Looking for videos showing how to e-file better briefs in Division One? Here are some custom-made videos showing how to create text-searchable briefs with bookmarks and hyperlinks for e-filing, and how to create a combined brief and appendix for e-filing. Click here to read more. 10/24/16 Please be advised that effective January 1, 2017, Arizona Rule of Civil Appellate Procedure 5(a) will no longer permit the addition of five calendar days to the calculation of a prescribed time period when a document has been electronically served. Arizona Rule of Civil Procedure 5(c)(3) requires litigants to indicate the method of service (i.e., electronic, mail, hand delivery) on the certificate of service. 09/28/16 Division One has issued Administrative Order 2016-01, which allows the Chief Judge to assign additional panels to assist with case processing. The Administrative Order can be found here. 07/11/16 At the 2016 Annual Judicial Conference, the Honorable Peter B. Swann received the Judge of the Year award. Click here to read more. Division One has published its Annual Report—2015 The Year in Review. Click here to view. 04/05/16 The Guide for the Self-Represented Litigant has been translated into Spanish. To see the guide click here. 12/08/15 Division One has issued Administrative Order 2015-002, which amends AO 2012-001 to make it clear that along with petitioners represented by an attorney, self-represented petitioners in special actions must include with the petition a separate list of all parties to the special action (including respondents and any real parties in interest), their attorney and their attorney's email address, or a mailing address if an email address is unavailable, and a telephone number. Click here to view the Order. Q1. What is an appeal? Q2. How do I file an appeal? Q3. What filing fees are charged?